About a year ago, I wrote a post describing a basic videographer’s kit. Over that year, I’ve been doing a lot more videography and I’ve naturally changed some of my opinions about the subject. So, I decided to update that post today. I’ll see you after the break! First, this post is primarily directed at the beginner videographer who is with an organization (i.e. a small church) with a limited technology budget. In fact, such a person may have to purchase all of this equipment themselves, so economy is very important. Second, this is a basic kit, on the cheap. Over time, it is expected that you will add / replace equipment as funds become available and as skill levels change. Third, this is NOT a live performance kit. This kit is designed to be used for creating movies – sermon illustrations, event highlights, testimony videos, fund raising videos, etc. 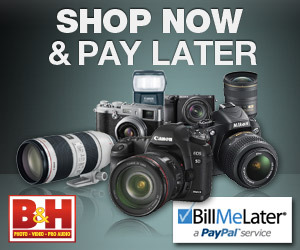 Get a decent DSLR camera that is capable of HD video. You might be asking why I am proposing a still camera for movie-making. Well, instead of talking about that here, let me direct you to a previous post where I talked about DSLRs for video in detail. You should also visit our post on choosing a DSLR. I highly recommend the Canon Rebel T3i EOS kit. It is my current camera, and it is simply amazing for the price, especially of you install Magic Lantern on it. It comes with the excellent canon T3i camera, and a very capable 18-55mm lens. If you prefer the newer T4i camera, you can get the Canon Rebel T4i EOS kit, but it will raise your costs by about $200. If you get the camera kit above, then you have a great start on half of what you need. That kit comes with a respectable 18-55 mm lens. For the majority of what you’ll be doing, that lens will do great. You will however begin seeing a need for a longer lens, say a 55-250 mm lens for getting “close” without being in the middle of the action. Now, keep in mind – these are basic, starter lenses. The more you get into this stuff, the more you’ll want better lenses, like the mid-range Tamron 17-50mm lens that I adore. But for a basic kit, these are more than adequate. I will mention another lens that is not initially vital, but is one of the best bang-for-the-buck lenses available – the Canon 50 mm F/1.8. It is a super fast, and very affordable ($100) prime lens, that gets you some excellent depth of field. Finally, I want to tell you about another Tamron lens that is amazing – I bought one myself this year: the Tamron 70-200mm lens. It’s not stabilized, but it is fast, and it can really reach out there. This is excellent for catching shots during outdoor events, when you cannot physically get close. Sometimes you’ll get a very basic tripod with your camera purchase. You can also find some inexpensive, but fancy looking tripods at your local department store. To be honest, these $15-$50 tripods are terrible for videography. If you’ve ever handled a pro-level tripod, you would know they are incredibly large and heavy. They’re made that way for a reason. You really need a stable platform, and those cheap tripods just don’t cut it. The pro-level tripods can easily cost $800 – without the mounting head! Fortunately, there are some very good tripods that are quite a bit more affordable. The tripod I bought last year is a 75mm bowl-mount, fluid-pan-head tripod. For its price, it is very stable, and highly adjustable, with some pretty good movement. I also got an inexpensive tripod dolly for it. I have since upgraded the tripod legs (I still use the same head) to a more versatile and substantial product. These legs by themselves cost about what I originally spent on legs with a head. In the long run, you really should invest in a plug-in a power source. But to begin with, you’re better off just getting another battery. Two batteries should be fine for most shooting situations. You can re-charge during set changes and breaks. The battery pack for the T3i will cost you under $40. While a T3i power supply will run you about $70. Even if you do opt for a power supply, you should still get a 2nd battery because it’s not always easy to get to a wall plug. Eventually, you will want to look into a battery power system, which will last a lot longer than a single battery. There are all types of camera bags you can choose from. I like the sling-style camera bags because they are great for a solo videographer. Your gear is highly accessible, even while wearing the bag. However, I also like backpack style camera bags. They are usually larger, and more natural feeling while toting, but your gear won’t be quite as accessible. You can find hybrid backpack/sling camera bags that let you reconfigure from a back-pack to a sling, but they are usually a little more expensive. After realizing how mobile I needed to be with my gear, I ended up buying a Pelican 1510 rolling hardcase. The biggest oops moments that I’ve had over the past year, is realizing that I totally underestimated the value of good lighting. In fact, I will go so far as to say that I was completely ignorant of my need for light. Having learned my lesson, I bought a beginner’s 3-light system from Fancier. It includes two continuous softbox lights with standard stands, and a third continuous softbox light with a boom stand. The second biggest oops moment for me was neglecting sound. The most important thing about videography is sound. You can have the most beautiful imagery in your video, but if the sound quality is terrible, people will not enjoy your video. Unfortunately, in-camera sound capture is generally bad without some gear to mitigate it. You could get a starter lavalier mic (or a starter video mic) that you plug directly into you camera, which allows you to capture audio closer to the source, eliminating that echo-y audio that screams “novice!” The problem with plugging directly into your camera is controlling the gain – some cameras do this better than others. Alternatively you could pair one of those mics with a digital audio recorder. This will give you a decent starting point, but understand that you really need to invest in audio as funds come available – don’t underestimate the value of good audio. Remember, this is a very basic kit – for about $1,400. I put mine together over the course of several months to ease the financial burden. Along the way, I learned where to invest a little more money – you will too. What would you add to a basic videographer’s kit? What kind of lighting would be good to light the interior of a small church’s stage during a sermon? The Fancier kit? I wouldn’t use this type of lighting for permanent stage lighting at all – this type of light is for extra lighting for doing movie projects. For permanent stage lighting look at something like these fixtures paired with these bulbs.